Currently an art gallery by day, Gallery 1930, located adjacent to the English Village restaurant, will transform into the Gallery Bar in the evening for Vino. Menu items will include a variety of oysters from the Atlantic and Pacific oceans served raw or grilled, a fried oyster salad and a classic shrimp cocktail. A full-service bar and large selection of Grower Champagne will be served. Birmingham-based interior designer Richard Tubb and his design assistant Gary Olivieri are working on making the new bar area cohesive with the existing dining space. Architect designer Cherri Pitts of Studio C Architecture and Interior is also part of the team. New outdoor rattan and teak wicker seating will be added for use both indoors and outdoors. Glass walls surrounding the space will create a seamless flow from the inside of the gallery to the gardens and patio area. 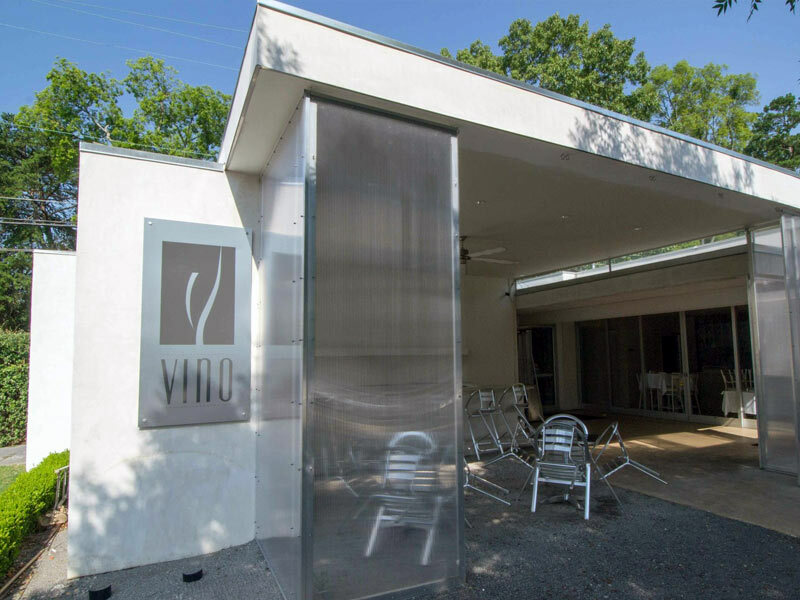 Vino will continue to serve patrons on its existing patio through the renovations.